South Indians Hot Actress Photos Wallpapers Biography Videos. 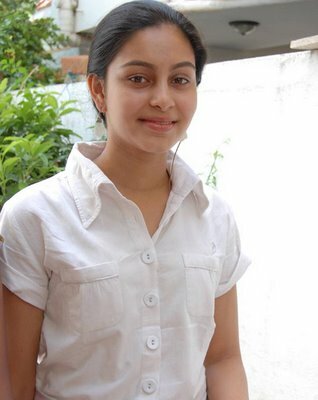 Abhinaya is a Tamil and Telugu film actress and model. She made her acting debut in Nadodigal (2009). Despite being hearing and speech impaired, she has played characters that can talk and hear. Sasikumar and Samuthirakkani have to be credited with instilling the confidence in newcomer Abhinaya (a deaf-and-dumb girl) to emote so casually and effectively in the film 'Nadodigal'. Unless said about this, one can hardly find out about Abhinaya's impairments. So natural was her lip-movement and the dubbing.Scribes asked Abhinaya's mother to reveal what would be her daughter's second film. This question surfaced within a couple of days of the release of 'Nadodigal', which has been declared a hit film. She asked the journos to be patient for some time and that she would announce the details on her own as and when things get finalized.Sasikumar has now spilled the beans: Abhinaya would, in fact be the heroine of the next film he would be directing. Sasikumar says that despite her handicaps, Abhinaya is bound to make it big as an actress as she has tremendous observing power. Sasikumar won't be acting in the film though the chemistry between them worked out so nicely in 'Nadodigal'.The story involves the 'affair' between a 54-year old gentleman and a young heroine, to be played by Abhinaya. The hunt for the actor to play the old-man's character is on.